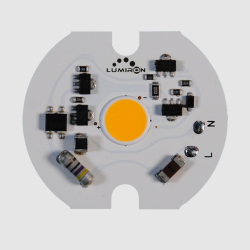 The LUMIRON RONDO LMT-98R-6L-T3 is a high-grade circular module designed to produce outstanding dimmable lighting solutions that are easy to install in new or retrofit in existing fixtures. 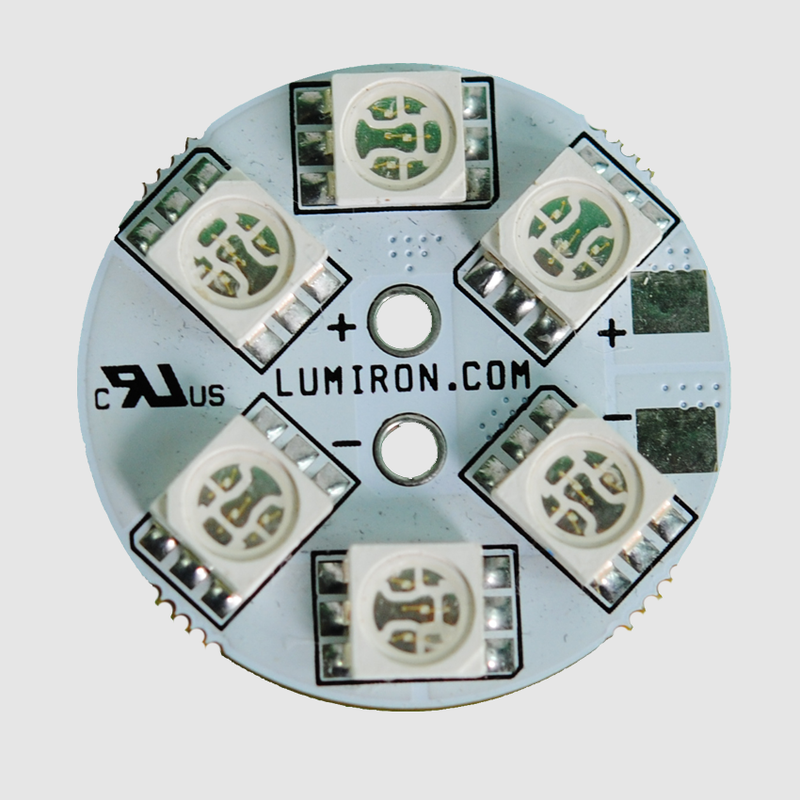 It is a 0.98-inch innovative solid-state lighting solution for design, commercial/industrial and marine application. 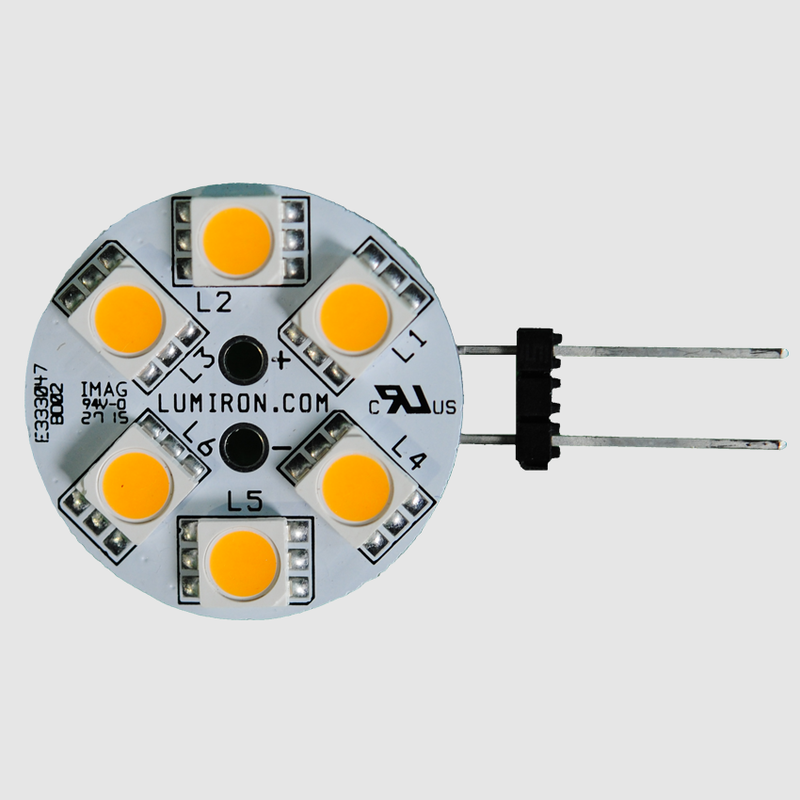 This 6 LED module has excellent lighting applications in multiple whites or colors while reducing the impact on the environment. 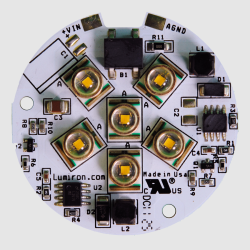 The RONDO LMT-98R-6L-T3 has a considerably lower power usage using only 1.5 Watts of power. 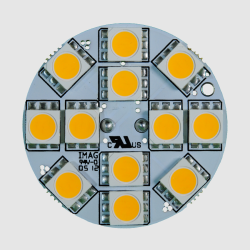 LED’s have lower heat emission and no UV or Mercury that makes it a cost-effective, environmentally conscious product with a lifetime of about 50,000 hours of use. LUMIRON’s RONDO LMT-98R-6L-T3 is a solid, USA made LED product that has gone through our rigorous in-house testing with a 3-year warranty. GO GREEN AND MADE IN THE USA.